Numbers cannot capture what was lost when the earthquake and tsunami struck Japan one year ago, as the video below poignantly shows. On this first anniversary, the thoughts of people across the world will be with those who suffered the consequences of this nature-induced human tragedy. We will watch again, on TV and on the Internet, the horrors of that day, and the stories of those who survived — and those who did not. 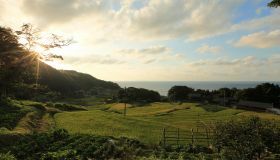 We will witness how communities like Kesennuma in Miyagi prefecture (shown in the video) have cleaned up the wreckage and begun to rebuild. The infrastructure is being re-constructed, factories are coming back online, and commercial and public facilities are open again. Slowly, but surely, the people of Tohoku, and Japan as a whole, are getting back on their feet, standing strong. The tsunami wiped away so much: loved ones and cherished friends, lifelong belongings, homes, places of work and more. For some, all that exists are memories. For others, what remains is an empty plot of land, with the wreckage removed, but surrounded by uncertainty as to whether they can ever work or live there again. One consequence of the tsunami, the Fukushima nuclear accident, frightened the entire nation and placed in question Japan’s energy policy. Outside of the evacuation zone, uncertainty continues as to when people will be able to return home, if ever. 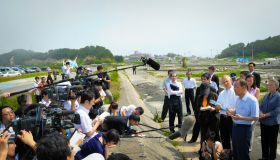 Time after time, in lectures and conferences here at the UN University, and on television and in newspapers, we have been shown the image of the marker stone in Aneyoshi with the message: “Do not build your homes below this point” or suffer the consequences of a tsunami flood. As rebuilding efforts continue, the Aneyoshi stone should be an icon that endures in all our minds — one that warns us to build back with care. Standing strong in the post-disaster recovery has been about people pulling together. Yasuhiro Abe, a fish-factory owner in Kesennuma, Ofunato and Minamisanriku is just one example. He stood by his 800 employees and began to rebuild as quickly as possible, in order to ensure that they could get back to work quickly and that they did not need to move out of the city. His workers stood by him, and the factory is up and running once again. We have seen examples of fishers who formerly worked alone in their designated fishing grounds, but who now pool their resources, share boats, their skills and knowledge, and their catch. It is this spirit of cooperation that exemplifies recovery efforts, and a tradition that is being relearned by the affected fishing communities. Ryosuke Sato from the Kesennuma Fishing Cooperative captures the spirit of recovery when he says, “Lets begin to bring fish [into the port] as soon as possible”. The first catch arriving was highly symbolic of progress being made. 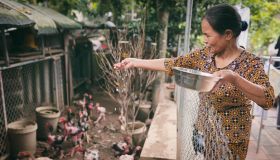 Every day since the disaster, the people affected have looked to these small steps, these little victories, as they slowly and painstakingly replace what was lost and always revere those friends and things that will never return. It is an experience that every Japanese person has shared over the past year. It is something that everyone across the globe has witnessed and paid tribute to. 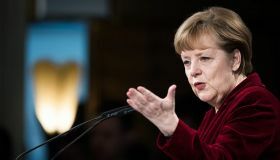 Over time, the affected people have explained to us the events of 11 March 2011. They have expressed their sorrows and shared their dreams. 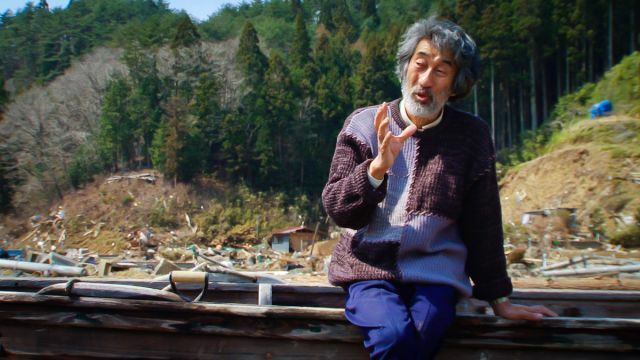 One powerful story is that of Prof. Shigeatsu Hatakeyama, an oyster farmer in Kesennuma, whose entire business was washed away. We have told his story on the UN University website and in Our World 2.0. He is an inspirational leader in his local community, and a respected figure across Japan. Prof. Hatakeyama expresses joy in the fact that, after the tsunami, the ocean was quick to return to normality. He has continued in his efforts to plant trees in the local watersheds to act as rainwater filters that guarantee clean river waters and a healthy coastline. 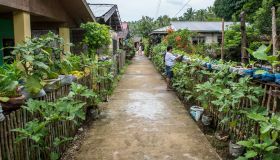 Like the ocean, the communities affected by the tsunami will return to their former healthy state. 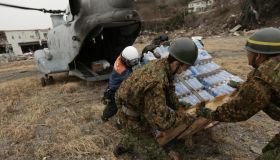 People from across Japan and the world have extended hands of friendship and support to the affected communities. UN Secretary-General Ban Ki Moon and UNU Rector Konrad Osterwalder visited the region in August 2011, where they spoke with the local people in the shelters and commended them on their efforts. Many staff from UNU joined with volunteer groups to go to the region to clean up debris, deliver supplies and help provide food. We have tried to document the events of 11 March and the recovery efforts through research, field visits and video production, and to promote dialogue and debate through conferences, workshops, seminars and teaching programmes. We have shared the lessons learned on how to rebuild, on what being resilient means, on the notions of human security and on what a green energy future could look like. But we appreciate that for those directly affected by the 11 March tragedy, the road to recovery is a long one, and that the reality of picking up the pieces day after day cannot be captured, completely shared nor understood by those of us who are not living through it. Like so many people, we offer a helping hand the best that we can, so that you can again stand strong. To the survivors of the 11 March disasters: We admire your courage and your resilience. Rebuilding after the tsunami: eco or transition towns?